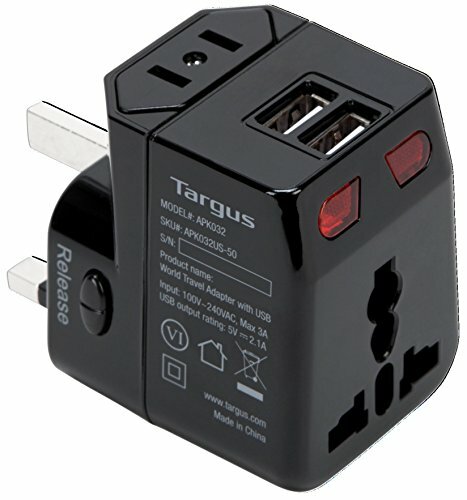 The Targus world travel power adapter powers up your laptop, smartphone, or tablet virtually anywhere in the world. And, it charges up to three devices at once, with two USB ports and one standard plug-in device. It also includes four integrated charging plugs that are compatible nearly the whole world over. And you’ll travel light, thanks to its compact design that easily slips into your carry-on or backpack without taking up much room. This international power adapter will give you the charge you rely on at home when you’re overseas.